Monsanto has agreed to pay the US government $600,000 for not reporting hundreds of uncontrolled toxic chemical releases from its Idaho phosphate plant. The releases in Soda Springs occurred between 2006 and 2009. The plant emitted hydrogen cyanide, sulfur dioxide, nitrogen oxides and mercury into the atmosphere during that three-year span, officials from the Environmental Protection Agency (EPA) and the Justice Department said in a statement. Companies are required by law to report such releases immediately. "Each of these chemicals are hazardous and can pose serious health risks to workers and the community if mishandled or released in an uncontrolled manner," the federal statement said. The company came into compliance by reporting the releases that continue to occur. But instead of reporting on a daily basis, Monsanto obtained a type of continuing release report, good for a year, according to Suzanne Powers, a compliance officer with the EPA, as reported by AP. Monsanto said in a statement that none of the releases exceeded federal or state laws, and that the federal government was not accusing them of going beyond its standards. Several of the chemicals realeased in Soda Springs aren't considered priority pollutants, EPA spokesman Mark MacIntyre said. “They fall through the crack a little bit in terms of the Clean Air Act and how they're regulated," Powers noted. 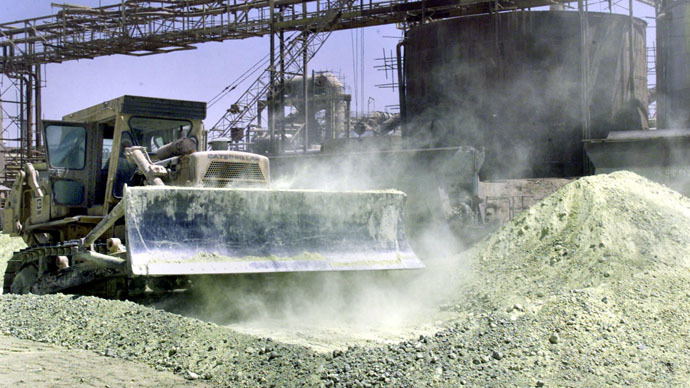 The southeastern Idaho plant has processed phosphate ore since 1952. Monsanto refines the ore mined by several companies. Phosphorus is used in the company’s Roundup herbicides, as well as in fire retardants and aviation fluids. In 2011, P4 agreed to pay a $1.4 million civil penalty for Clean Water Act violations at its South Rasmussen Mine near Soda Springs. In addition to the penalty, P4 said it would spend an estimated $875,000 on monitoring and to prevent pollutants from entering local waters. The $600,000 fine is a slap on the wrist for a company that earned nearly $1.5 billion in profits during fiscal year 2013.